A future warmer world will almost certainly feature a decline in fresh water from the Sierra Nevada mountain snowpack. Now a new study by the Department of Energy’s Lawrence Berkeley National Laboratory (Berkeley Lab) that analyzed the headwater regions of California’s 10 major reservoirs, representing nearly half of the state’s surface storage, found they could see on average a 79 percent drop in peak snowpack water volume by 2100. What’s more, the study found that peak timing, which has historically been April 1, could move up by as much as four weeks, meaning snow will melt earlier, thus increasing the time lag between when water is available and when it is most in demand. Published recently in the journal Geophysical Research Letters, “The Changing Character of the California Sierra Nevada as a Natural Reservoir” aims to answer when and how the snowpack and snow melt will change – including whether there are variations by region or elevation – by analyzing climate simulations at mid-century and the end of the century across five different regional climate models. What was also distinctive about this research is that the scientists worked directly with water managers with the aim of producing “actionable science.” That included getting feedback from water managers on what metrics would be most useful for resource planning purposes. Another notable feature of California storms is that they are relatively warm. “So as the world continues to warm, these storms will get even warmer and won’t readily get to freezing, whereby you could have snowfall or snow accumulation and the persistence of snow on the surface,” he said. As a result, the amount of snow is projected to decrease while rain could increase, although this study did not look at rainfall. For this study, Rhoades and his co-authors – Berkeley Lab climate scientist Andrew Jones and UC Davis Assistant Professor of Regional Climate Modeling Paul Ullrich – analyzed nine simulations across five different regional climate models that are part of the North American CORDEX, which is overseen by a group of scientists who coordinate their data protocols in order to be able to isolate and analyze cause and effect. The simulations were run at resolutions of 25 km and 50 km and assumed a high-emissions scenario, as defined by the U.N. Intergovernmental Panel on Climate Change. The scientists analyzed snowpack upstream of 10 major reservoirs – three in Northern California, three in Central California, and four in Southern California. On average the climate models projected 79 percent less snowpack at peak timing by the end of the century compared with historical levels and peak timing shifted four weeks earlier. The peak timing is important to water managers as an indicator of the start of the melt season. Another finding was a more dramatic decline in snowpack in Northern California, especially by mid-century, than in other parts of the state. The reason for that, Rhoades said, may be because mountains in the northern Sierras have lower average elevations than those in the central and southern Sierras and therefore are less capable of changing storm phase from rain to snow. Additionally, the study also found that snow melt rates will decrease. So the total snow season, which includes both the accumulation and melt portion of the season, will decrease by 20 days at mid-century and 39 days by end century (primarily in the accumulation portion of the season). This is partly because future storm systems will produce less snow but also because with the peak timing shifting to earlier in the year, the days are shorter and less energy is available to melt the snow. The recent National Climate Assessment reached similar conclusions about declining snowpack in a warmer world, with earlier peaks and slower melting. 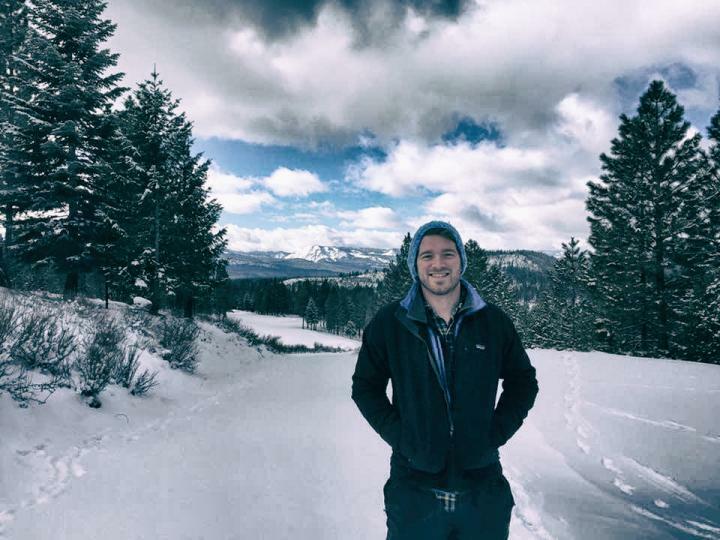 “The snowpack literature is converging pretty much to the same general conclusions at a continental-to-mountain region level in a warming future,” Rhoades said. He added that the new Berkeley Lab study addresses some of the research gaps in the National Climate Assessment in three ways – by analyzing snowpack across multiple models, which allows them to look at the uncertainty associated with climate model choice; by analyzing the data in more water management relevant regions; and by integrating input from stakeholders to make the data more useful. The study was funded by the Hyperion Project under the DOE Office of Science. Hyperion, led by Berkeley Lab and UC Davis, aims to understand and develop metrics for hydroclimate data four water basins in the United States (California, Colorado, Susquehanna, and South Florida). This metric for the Sierra Snowpack might be useful for water managers and could enhance scientist-stakeholder engagement to interrogate climate model performance in new ways. The scientists are currently in the process of evaluating other snow-dependent regions such as Colorado and Susquehanna associated with the Hyperion Project. Supercomputers at the National Energy Research Scientific Computing Center (NERSC), a DOE Office of Science User Facility, were used to process the NA-CORDEX data.